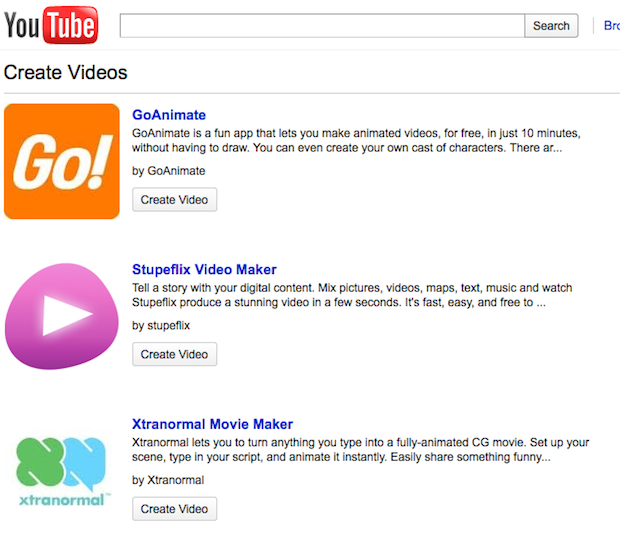 Each of these third party apps has now been integrated into YouTube. 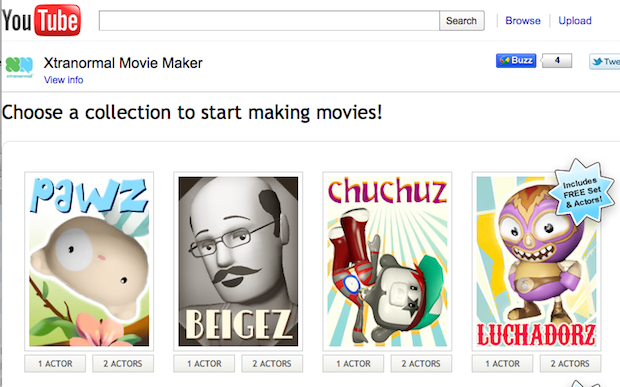 Choose one, and you’ll jump into their editing interface where you can put together a video for free. 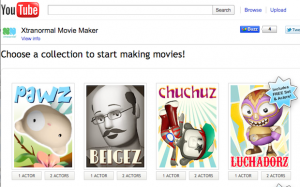 Each of them also offers freemium options (more sound options, animations, etc.) which you can pay to access. YouTube says there’s no financial relationship between these partners — it just wanted to give everyone a chance to participate on the site (the third parties will obviously benefit from the exposure, though). And while it was already possible to crosspost a video from GoAnimate, Stupedflix, or Xtranormal to YouTube, this makes the process more seamless and will help introduce the apps to new users. This entry was posted in Cloud Computing, Technology, YouTube. Bookmark the permalink.